No time to start a business? Think again! THIS IS STARTUP IN 60! LIVE SESSION STARTS FEBRUARY 4, 2019. Your Business Just Got Supercharged! 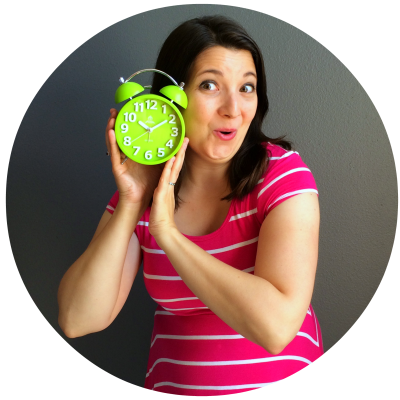 Startup In 60 is a time management course for busy women who are ready to FINALLY start their own businesses whether they have 60 days, 60 minutes, or 60 seconds. 12 Detailed Video Lessons so that you can break down complex projects into doable tasks. Easy peasy! 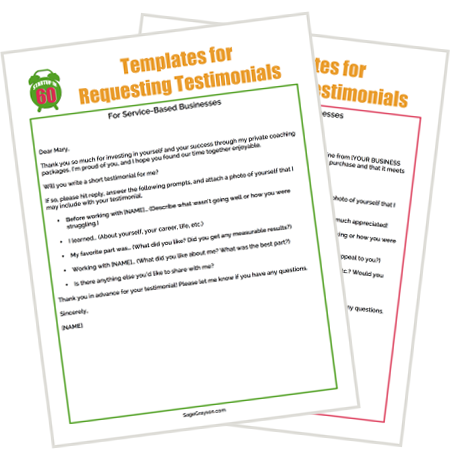 29 Beautifully Designed Worksheets to help you easily clarify your next action steps. 9 Weekly Interactive Group Calls where you can speak directly to me and get answers to your specific questions. Access to our exclusive private Facebook group for added accountability. Recommended books and resources to help you reach the next level of success with your business. Includes Silver Level annual subscription to the Life Editor Clubhouse membership site. Whether you've been dreaming about starting your own business for years or you have a business that's just not working, this 9-week revolutionary time management course will help you finally make progress on your goals even in as little as 60 seconds a day. Do any of these sound like you? Be honest. "I have a day job, and I'm too exhausted by the end of the day to work on a business." "I have a business, but I'm too disorganized to get it to a place where it actually runs smoothly." What if I were to say that you CAN have the business you've only imagined and it won't take all your time, all your money, and years to accomplish? In fact, you can build a functioning online business from scratch in as little as 60 days while still having time for family, friends, your day job, school, personal hobbies, and self-care. You don’t need MORE time, MORE money, MORE resources, MORE employees, or MORE technology. What You Need is an Edited Business. You’re probably thinking, “Yeah, sure, Sage. This sounds too good to be true. 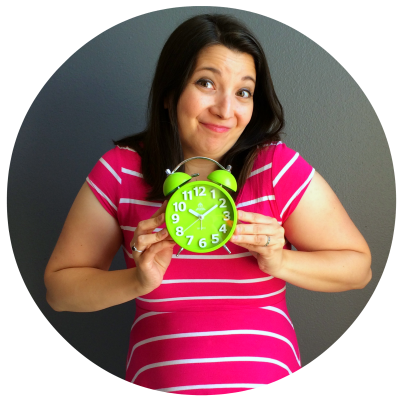 How can I possibly start a business when I barely have time to breathe?" You’re about to discover that you don't need to put your dreams on hold because you've got other priorities in your life. It's all about taking control of your time and making it work for you, not against you. Haven't you been waiting for something just like this? Hey there! 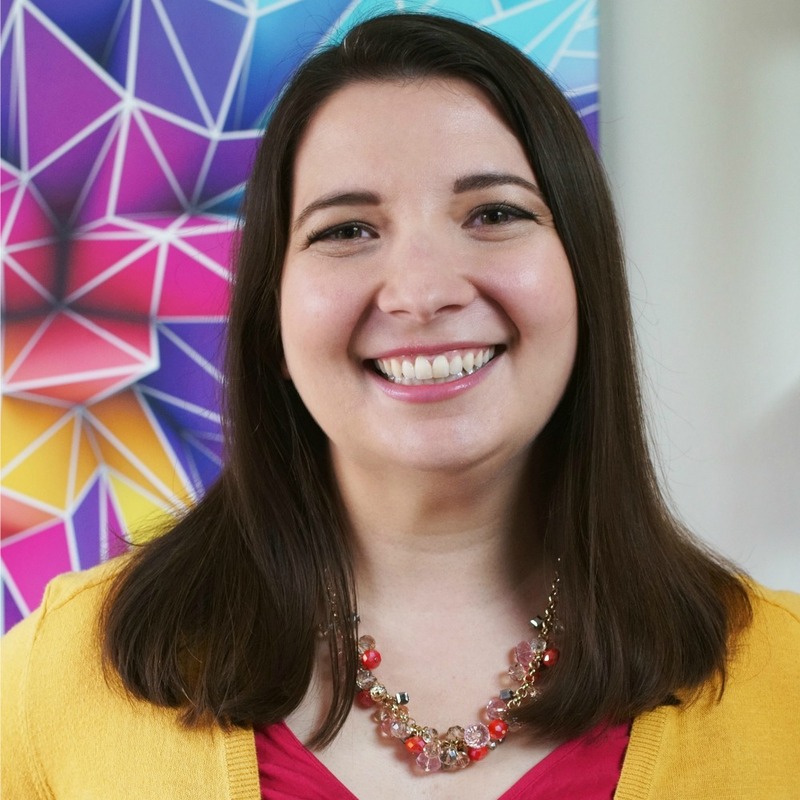 I’m Sage Grayson, and I help ambitious career women edit their habits, routines, and mindsets to balance their happiness at work and home. I was a book editor for nearly 10 years before I transitioned to life coaching. It was then that I noticed that I was using the same techniques with my clients that I used when editing manuscripts. Now I use my analytical, systematic approach to edit women’s lives with my Life Editing Process framework. It’s awesome for “Type A” personalities like me who want to delete bad influences, add good habits, and rearrange our lives into a perfect flow. ambitious women that they could create their own businesses from scratch even if they have a million other distractions in their lives. WELCOME TO STARTUP IN 60! Whether you’ve got a struggling business or just an idea in your head, you’re in the right place. During a live session of the program, you’ll get an email every Monday saying that the week’s content is ready for you in the Life Editor Clubhouse membership site. Each week focuses on a different aspect of starting a business from creating your online headquarters, to designing products, to overcoming resistance. Once a week, you’ll talk directly to me in our interactive group calls. You can go through each week’s content little by little every day, or do it all in one day. You’ll learn how to arrange your schedule so that your time works for you and your unique situation. But no matter how you choose to complete the exercises, you’ll be continually making progress on your business. You’ll stretch your creativity muscles and learn how to get stuff done even if you only have a minute. You’ll go from idea to functioning business in only 60 days! so that you can access the materials wherever you are as long as you have an internet connection. so that you can break down complex projects into doable tasks. Easy peasy! to help you easily clarify your next action steps. to connect with other participants and find accountability partners. designed to take you from idea to functioning business in only 60 days. And you’ll do it all while still attending to the hundreds of other responsibilities you have in your life. so that you can spend longer on certain modules and watch the videos and complete the worksheets when it's convenient for you. so that you can join us for interactive group calls and get extra support from ladies doing the program at the same time. to get you making progress whether you have 60 minutes or 60 seconds. Really! so that you automatically get access to new content every time the program is updated. with dozens of books and resources. Join Startup In 60 now, and you'll receive this exclusive bonus to enhance your life editing! from the previous live sessions so that you can learn from the experiences of other entrepreneurs who have completed the program. Part 2: Where’s Your Hour? Part 1: Why Are You Starting a Business? Part 2: Who’s Your Ideal Client? Part 2: Who Do You Know? Part 3: Who Knows You? What Results Can You Expect When You Apply the Tools and Practices in Startup In 60? You’ll have a professional online headquarters, a sales funnel, and a simple, repeatable marketing plan for attracting paying clients and customers. You’ll be on track to create financial freedom through setting your own prices and charging what you’re worth. You’ll create good habits that stick so that your business runs smoothly. You’ll make time for content creation, marketing, and customer service, in addition to nurturing your loved ones and having personal time. You’ll streamline your routine and adopt systems that can save you hours of time every week. You’ll break down all your huge, unmanageable projects into bite-sized tasks to make noticeable progress toward your goals every single day. You’ll be supported by a team of Life Editors (and new best friends) in our private Facebook group. There’s no going it alone! You’ll develop a sense of control and order in your life and business. You’ll have the confidence to continually edit your business no matter what comes your way in the future. Registration is now open! You can go through the entire program at your own pace or choose to do the live session with other Life Editors that starts on February 4, 2019. The program runs for 9 motivating weeks. During the live session, you’ll receive emails every Monday to remind you about the next module and you can progress through the modules at your own pace. In fact, Week 1 focuses on how to make time to do the program work. Live calls are held on Thursdays, and you will receive the recording in the Life Editor Clubhouse within 24 hours. Women who want to ditch their fears and self-doubts so that they can finally start the businesses they’ve been dreaming about. Women with loads of passion and ambition for their careers and are ready to do the work to achieve those goals. Women who are tired of waiting for more time to magically appear in their schedules. Women who want to be a part of an encouraging, supportive group of like-minded women. Women with a quirky side who won’t mind my funny videos and goofy attitude. Those looking for a magic wand to solve all their problems. This ain’t Hogwarts. Loners who despise group participation and don’t want to make new friends. Price shoppers, looky loos, and discount divas who just want to save a buck. “Victims” who want to continue to blame other people for their problems. Not sure if Startup In 60 is right for you? Here are some honest answers to help you make the right decision for you. Will you be offering Startup In 60 again? Probably, but why wait? The longer you put off starting your business, the longer you’ll have to wait for financial freedom…and the people who could benefit from your business will have to wait longer too. 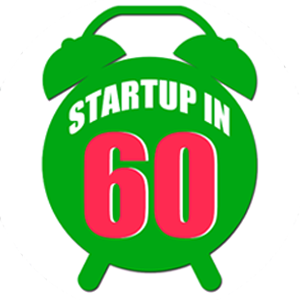 So if your heart is telling you that you’d benefit from Startup In 60—sign up now! What makes Startup In 60 different than other business courses? 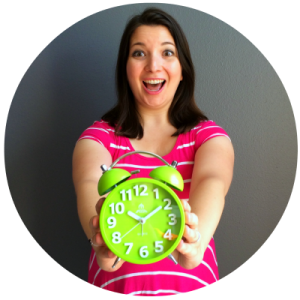 Startup In 60 is a time management program. We’ll going to get your business set up and running properly in the shortest amount of time possible. We’re not half-assing our work just to get it done, but we are avoiding time wasters and tasks that seem essential but really aren’t. You might not have the coolest logo, but you’ll be attracting paying customers, which is even more important. I’m crazy busy right now! What if I can’t keep up? No worries! Once you pay, you’ll get immediate access to all your videos, worksheets, and resources in one place so you have the option of going through the program at your own pace. By the way, Week 1 of the program will help you make time in your schedule to actually do the work as it’s assigned! My budget is really tight. Why should I make this investment? The Startup In 60 program is the most economical way to speak directly with me every week without signing up for one of my elite-level private coaching packages. My one-on-one clients pay up to $8000 per year to work with me. Besides, starting your own business is a fabulous way to bring in more money for you and your loved ones. Investing a little time and money now can pay off big time in the future. You’ll also get the added benefit of the other participants who are starting their businesses from scratch. Don’t miss out on the group dynamic! I live outside the United States. Will being in a different time zone mean I’m missing out? The majority of the program is done at your own schedule. If you can’t join us for the live calls, you can submit your questions ahead of time so I can answer them on the calls. You’ll receive the recordings within 24 hours. I’m debating between doing Startup In 60 and private one-on-one coaching with you. Which is better? It really depends on your goals and the type of support you’re looking for. Startup In 60 offers weekly access to me through the group calls, plus you get support and guidance from me and your fellow participants in the private Facebook group. Everyone receives the same tools and trainings so you can share your thoughts on each module and learn from each other. If you’re looking for individualized attention for your specific business, private coaching may be a better option. Through one-on-one calls with me, you’ll get advice for your unique situation without having to “share” me with a group. Private clients also receive unlimited email support, Quarterly Care Packages, and free access to all my programs and products. Click here for more information about private coaching. I mentioned all the fabulous results you can expect from the program (like starting your business! ), plus some incredible testimonials. But what goals would you need to achieve for this program to be worth it to you? I’m not a magician or Fairy Godmother (darn!) so I can’t guarantee specific results. As with most things in life, you get what you put into it. So let’s think about that—what kind of effort have you been giving to your dreams lately? How happy are you with where you’re at? Maybe more of the same: stress about not having enough time for the people or activities that are important to you, sadness over not following your dreams, lack of “fun money” to use how you want, and declining health and well-being. That's $10,900 worth of value all for one payment of $149. 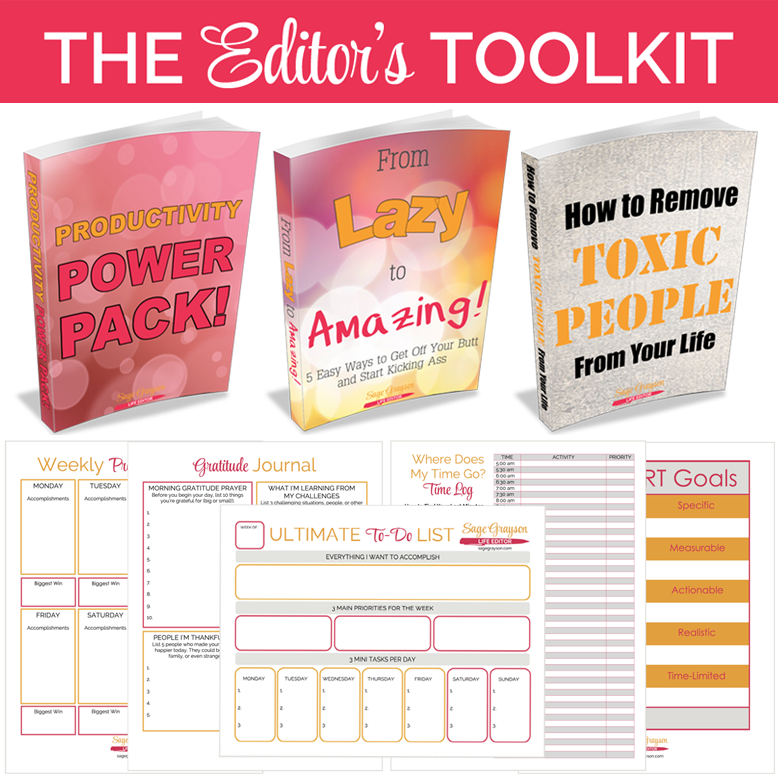 It's time to edit your biz. Join Startup In 60! PSST! You know how you keep saying you’ll start a business "when I have more time" or "when I have more money" or "when things calm down"? It’s like you’re waiting around for someone to save you or for a magical sign from above to appear. You deserve to have your own business that fills you with joy, provides limitless income, and helps your customers live happier lives. And you don’t need more time…you just need to start. Due to the nature of the Startup In 60 program and the materials housed within the Life Editor Clubhouse membership site, refunds are not offered on this program. Immediately after purchase, you will have access to hours of video trainings, audio recordings, and webinars in addition to dozens of worksheets and resources. There is nothing preventing you from downloading and using all the materials immediately, so refunds will not be authorized if you decide you no longer want to be in the Startup In 60 program. It is your responsibility to make an informed decision before you purchase this program. Please send an email to sage@sagegrayson.com if you have any questions.